Nicola is the author of the book, No Period. Now What? A book that came out of her own experience trying to conceive over an 18 month period. After receiving a diagnosis of hypothalamic amenorrhea, she took matters into her own hands doing research and using the knowledge she gained to eventually recover and bring her period back. She tried the medical route to pregnancy, with multiple doctor visits, injections, and ultrasounds but was not successful in her efforts. Ultimately, she was able to conceive naturally, and since that time Nicola has shared her knowledge of the path to recovery, helping hundreds of others achieve their dreams of pregnancy. 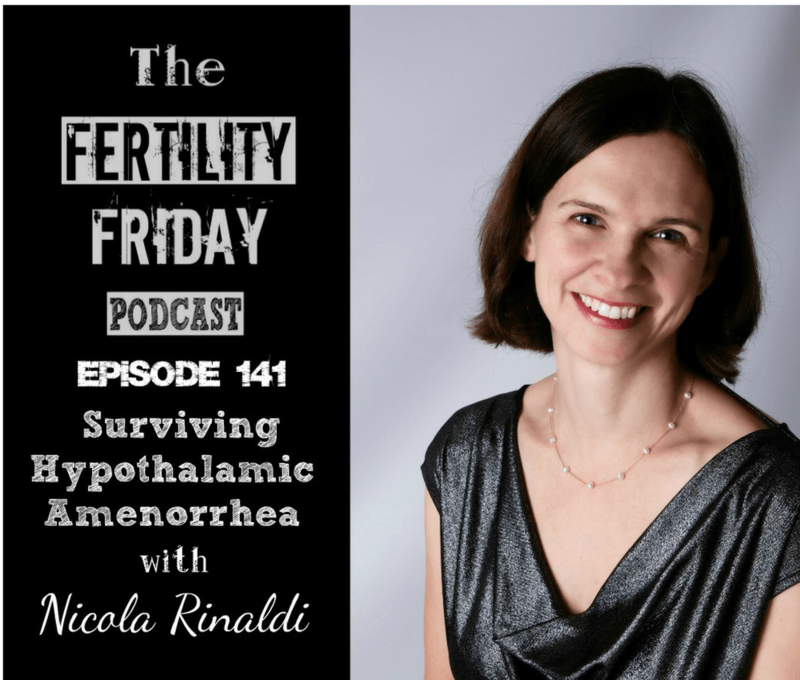 In this episode, Nicola helps us understand the factors that affect your periods. She discusses the impact of vigorous exercise and diet on reproductive health, and the impact that hormonal birth control can have on your menstrual cycles and your fertility. She also sheds some light on the difference between Hypothalamic Amenorrhea and Polycystic Ovary Syndrome. Nicola emphasizes the importance of looking at your lifestyle factors, particularly diet, exercise and stress, as you work towards bringing your periods back. What inspired Nicola to write her book, No Period. Now What? What effect do exercise, diet, and birth control pills have on your reproductive health? In terms of exercise, how do we know how much is too much? What factors can cause a woman to lose her period? When is the right time to focus on weight loss? At what point is it appropriate to cut back on exercise? How does hormonal contraceptive use impact your menstrual cycles? You can connect with Nicola on her Website, and on Facebook, and Twitter.